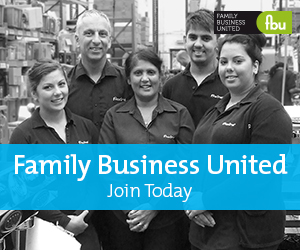 Family Business United ('FBU') was created by Paul Andrews who is passionate about the family business sector and champions the sector on a global level. Family business is at the core of all that we do and FBU is the culmination of working in the family business sector for over 20 years. I was brought up in a family haulage business that was owned and operated by my Mum and Dad, starting out in the coal business and evolving into a haulage business undertaking domestic and office removals during the day, and in season, trasnporting fresh strawberries daily from Hampshire to the fruit markets at Covent Garden. At the time, with various members of the family working together it never dawned on me that there was such a thing as a family business but in hindsight it provide me with some great insights into how families can work together and the unique dynamics that exist within such firms. After graduating from Exeter University and a degree in geography, and a year of travels, my professional career began as a trainee accountant at EY (Ernst & Young as it was then) where I worked on a number of family business clients during my ten years with the firm. After qualifying my career took me to Grant Thornton where my family business journey really began with the publication of research into the People and Relationship Issues in Management of family firms which we then completed in 37 countries. My role was to support the role out of the report, help with business development and PR and to travel the world helping the partners develop their family business consulting skills/practices. I have continued to work with family firms throughout my career, from audit clients to developing a family business consultancy service to them, to being the non-family MD of one and then establishing a leading family business resource centre, developing an online family business community and becoming editor-in-chief of the bespoke magazine, Family Business. Since setting up Family Business United in 2011 as an online magazine and resource centre for the family business community, I have also been working with a number of professional service organisations helping them to develop their offering and promote their services to family businesses. I regularly undertake research projects, interview family businesses for written features and releases and have created and organise innovative family business events such as The Great British Family Business Conference, The Family Business of the Year Awards, The Family Business Road Trip, International Family Business Day and Scottish Family Business Week to name a few! I am very fortunate to be doing things that I enjoy and working with family businesses is at the very heart of it all and the passion for the sector pushes me to do more and more each day!